Discover the beauty of Shuji Gami Kozo Paper! Made from kozo, this traditional Japanese paper is perfect for watercolor, Sumi painting, calligraphy, and many other mediums. Discover for yourself the incredibly high quality and beautiful texture of Shuji Gami Paper! This paper is made from kozo and is perfect for watercolor, Sumi painting, or calligraphy paper. Use the Shuji Gami Paper in a variety of other uses like wood-block printing, collage, bookmarks and more. 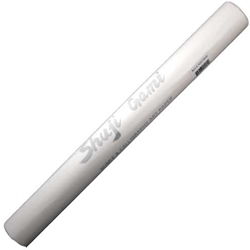 The Shuji Gami Paper is a traditional Japanese paper that is translucent white in color.